The SetupBuilder Compile Project Action allows you to compile a SetupBuilder project file in order to create an Installer executable. 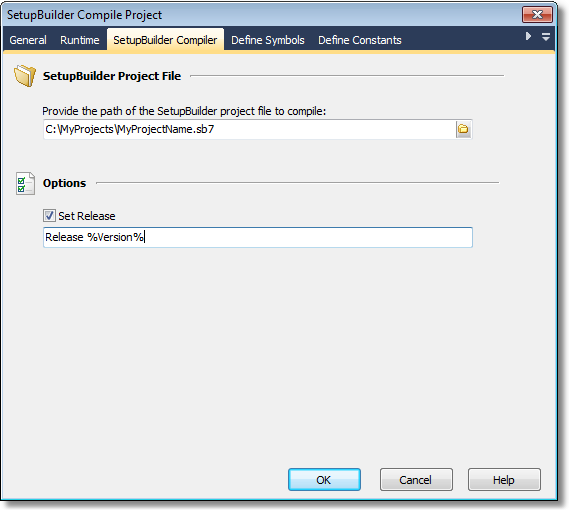 From the SetupBuilder Compiler tab, specify the location of the project which you want to compile. Also from this tab the Set Release option allows you to specify the Release which you would like to compile. Note: An invalid release value will cause the compilation/action to fail. 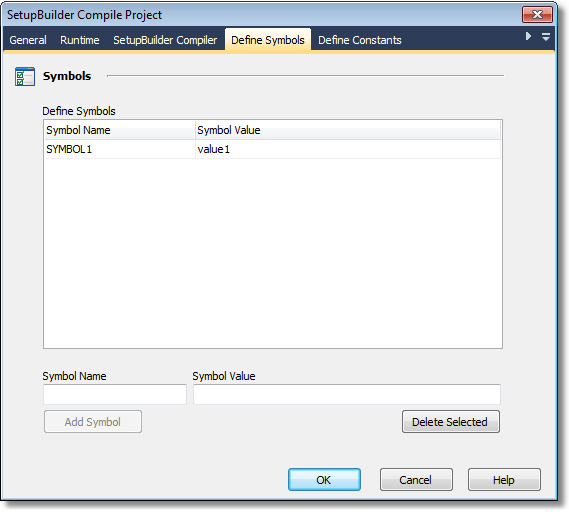 Depending on the requirements of your project it may be necessary to define symbols, constants and compiler variables when compiling your project. These three tabs are much the same, to define a compiler variable enter the name in the text box Variable Name and an associated value in the Variable Value and click the Add Variable button. The Add Variable button will remain disabled until both text boxes are populated. Note: An equals sign (=) will not be accepted within a symbol, constant or variable name. 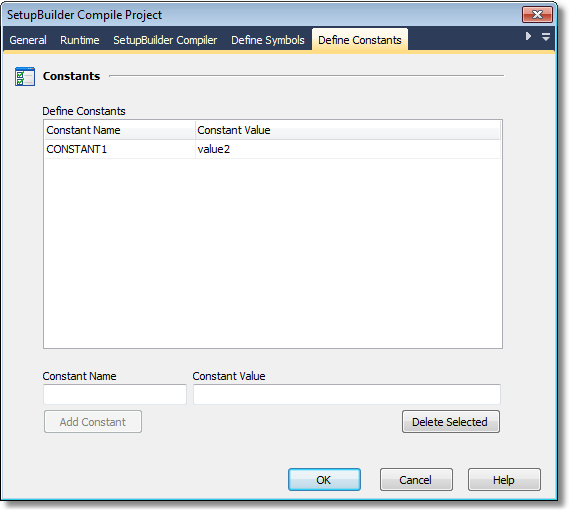 If you want to define a name that contains an equals sign you can create a FinalBuilder project variable (which contains the desired name) and pass this variable as the symbol/constant/compiler variable name. 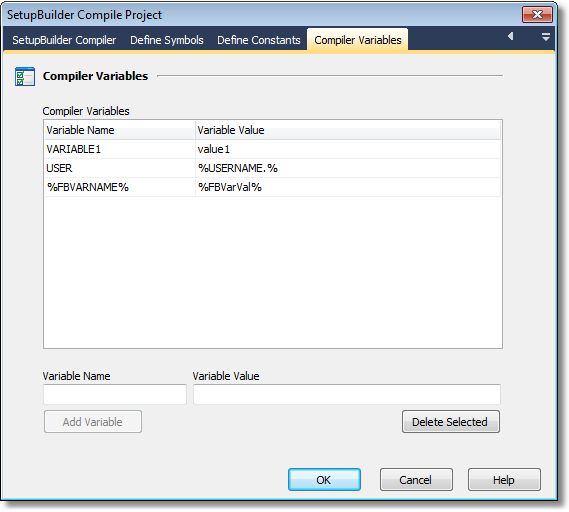 All symbol, constant and variable names are added in uppercase. Note: Any message boxes in the SetupBuilder compiler script will need to either be commented out or set to be a 'timed message box' (which will only be displayed for two seconds) otherwise an unattended build will 'hang' waiting for user to acknowledge the message box.